With only one more week left in August, it looks like summer is finally coming to a close. Overall, I would definitely say it's been a lot of fun, with plenty of warm sunny days and lots of great memories! After all, I got married this summer, so obviously it was a very special one for me! But alas, every year summer can only last so long before the leaves start to turn, the weather cools down, and the kids go back to school in the fall. Even though I'm no longer a student, I still very much enjoy the idea of "back to school" shopping, although for me, it's more like "time for autumn" shopping instead. When I was younger, I used to beg my mother tirelessly for an entirely new wardrobe full of the latest styles every time we went back to school shopping. Now that I'm comfortable with the knowledge that having good style doesn't necessarily mean being trendy, I am much happier continuing to build on my more classic wardrobe by working in versatile and timeless pieces here and there. 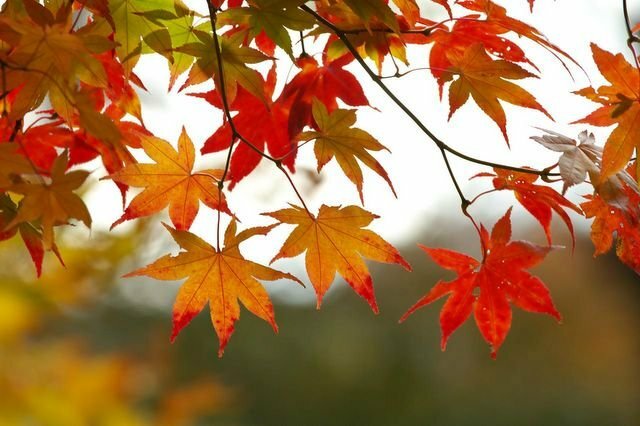 Now, in terms of making an effortless transition from summer to autumn, it's important to know what to store and what to buy. Making the style transition from summer to autumn isn't quite as daunting as it may seem. Many pieces already in rotation throughout the summer can be adapted to the cooler weather by adding layers and accessories. 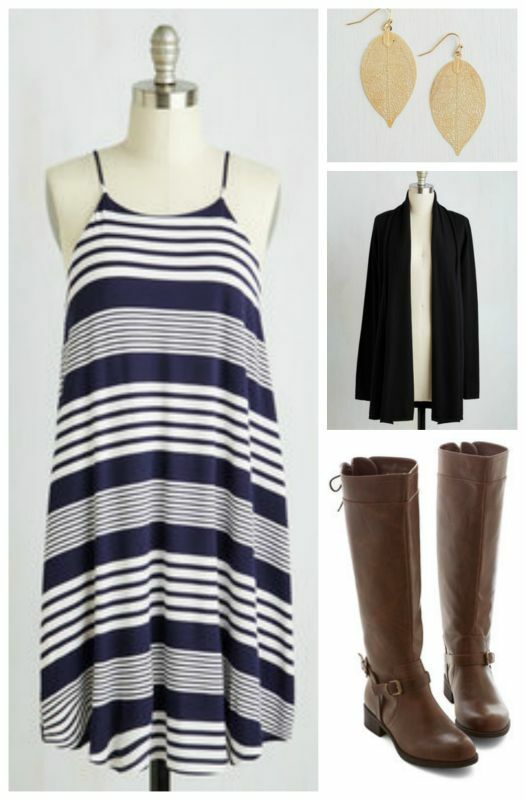 For example, a blue and white striped summer dress can make for a stunning fall look when paired with the right accessories! 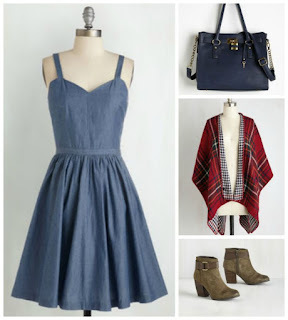 Similarly, that perfect summer chambray dress can be worn with a classic tartan cape to create an effortless fall look. *Featured outfit combinations available from ModCloth. 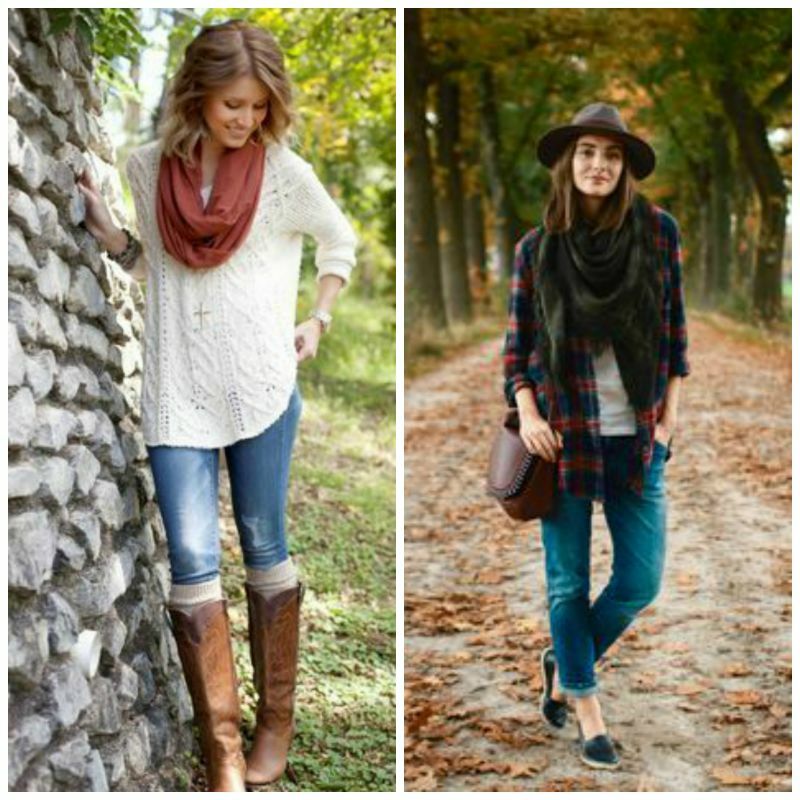 For Sept - Oct, and as long as the weather permits, I favour adding wraps, ponchos, shawls and sweaters to darker coloured cottons from the summer. I still follow the rule though that you don't wear white shoes or handbags after Labour Day!